It’s been too long since I’ve posted here. I could point the finger. Blame it on instagram. Or on the notion that time speeds up as we get older (it may seem cliche but research backs me up on this). No matter the excuse it’s time to refocus on my photography. My creative outlets are necessary now more than ever. To that end, I found a wonderful group of creative women in Minneapolis. And became a member of the Conspiracy of Strange Girls. I even joined in for matching tattoos at our holiday party at Tailorbird Tattoo. 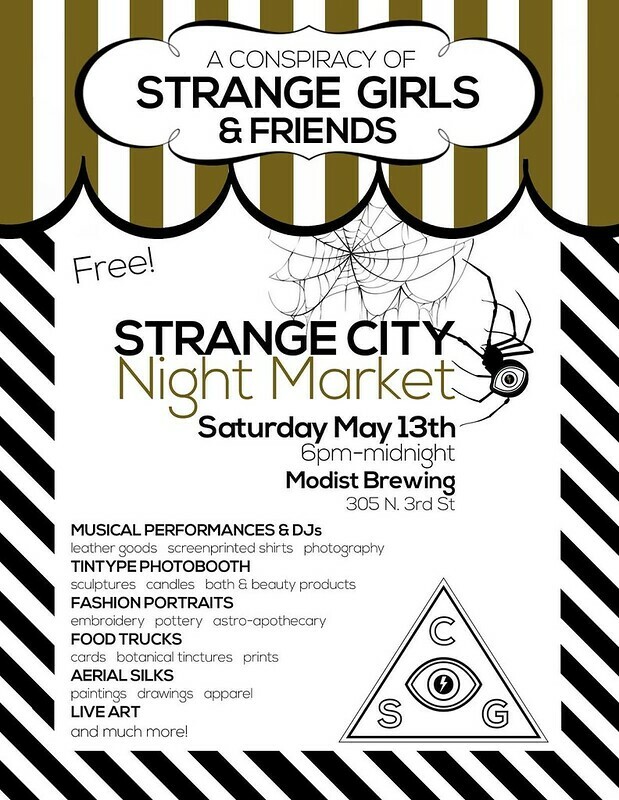 And I’ve got less than a month to prepare for our Strange City Night Market. And you’re all invited! It’s free and open to the public on Saturday, May 13th at the delightful Modist Brewing in the North Loop neighborhood of Minneapolis. I plan to have prints and postcards for sale, as well as my calendar where we can book portrait sessions, weddings, or time slots to photograph whatever you need photographed.